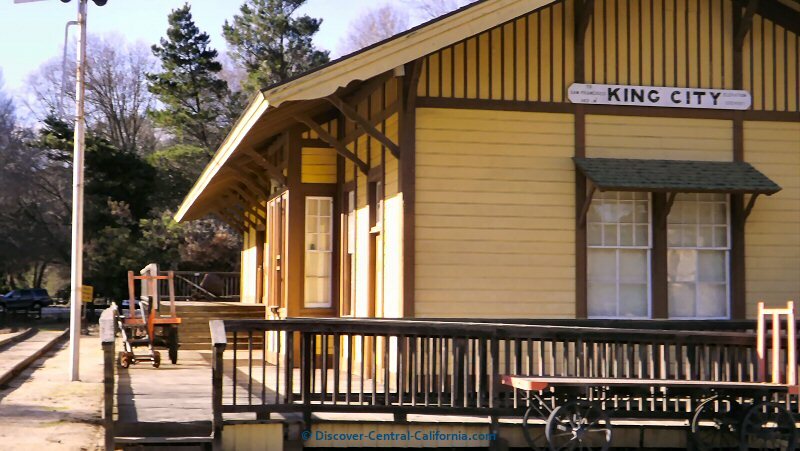 The Monterey County Agricultural and Rural Life Museum (MCARLM) is located at the northern end of King City in San Lorenzo Park. 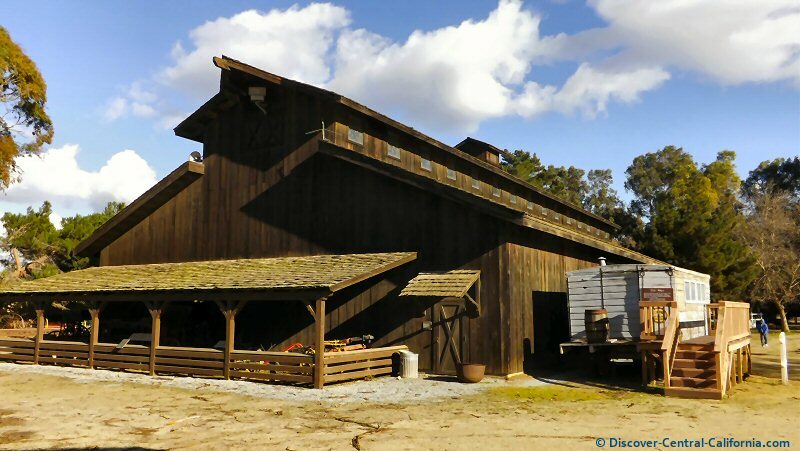 Begun in 1980, the museum tells the story of the settlement and working of the land in this part of Central California since the latter part of the nineteenth century. The park also has picnic and play areas as well as a nice RV campground. A previous Photo of the Week selection. Clicking on any of the photos on this page allows you to see them in a larger size. 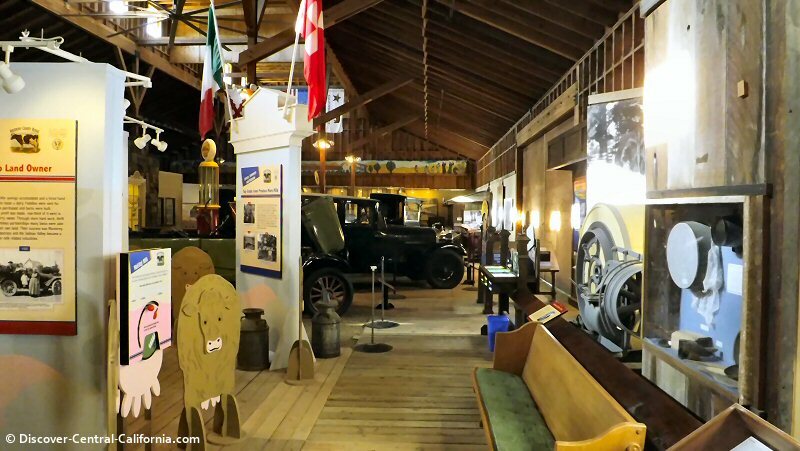 Over the last 30 or so years, the Monterey County Agricultural Museum has put together an astounding range of buildings, tools, vehicles and other items of everyday rural and agricultural life from the late nineteenth to the mid twentieth century. Many who live in an urban or suburban setting romanticize rural life as a "simpler" way of living. And in many respects it is that. It is closer to nature and the production of things. The early farmers and ranchers had to be "jacks of all trades" and the masters of most of them. Animal care and husbandry, teamster, carpentry, mechanical systems of all sorts, blacksmithing, meteorology, soil conservation, irrigation and of course botany - knowing how, where and when to plant your seed for the best crop. In order to cover all these varied tasks and show how they were done years ago, the many exhibits of this museum take up numerous acres of San Lorenzo Park. I'll take you quickly around the exhibits and show you the highlights. Hours: (from their website) Main Exhibit Barn is open 10 AM to 4 PM, Tuesday thru Friday, closed Christmas Eve, Christmas Day, New Year’s Eve, New Years Day, Thanksgiving Day and the day after. 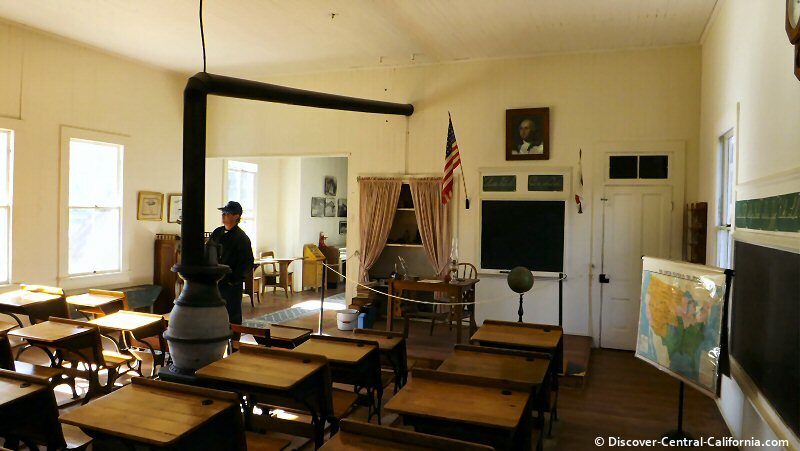 The Spreckels House, Schoolhouse, Train Depot and Olson Blacksmith Shop are open Fridays, 12:00n to 4:00 pm, Saturdays and Sundays, from 11:00 am to 4:00 pm with Tour Guides available to help you. The History of Irrigation Museum is also open for viewing weekends but it is recommended that you call ahead if you wish to wish to view the entire facility and see the movie. With the photos above, we started out at the La Gloria School. This was built in 1887 and served as a school house in the hills east of Gonzalez for over 70 years. Undoubtedly, this school was constructed by the locals themselves. No contractor was called in. They set a number of work days, everyone brought their own tools, the ladies set up a field kitchen and after a short period of time, a schoolhouse was built. 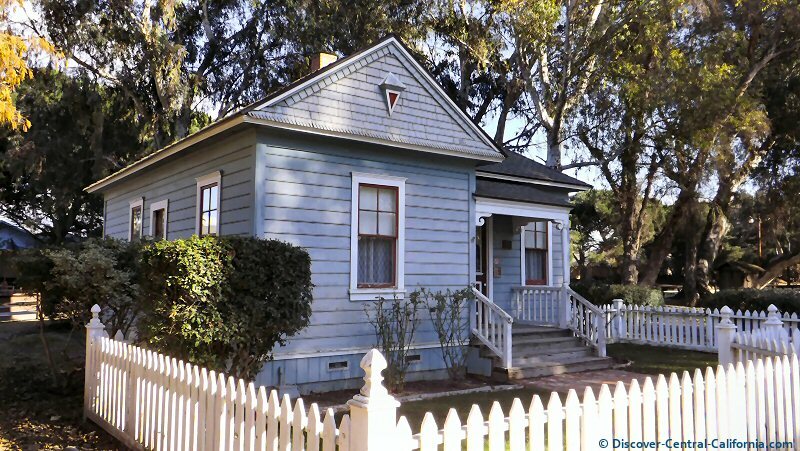 Another interesting period building is the Spreckels House. If that name sounds familiar, it is from "Spreckels sugar". The Spreckels company was very active in the Salinas Valley growing sugar beets and processing them into granulated sugar. They built employee housing both for their factory and field workers. 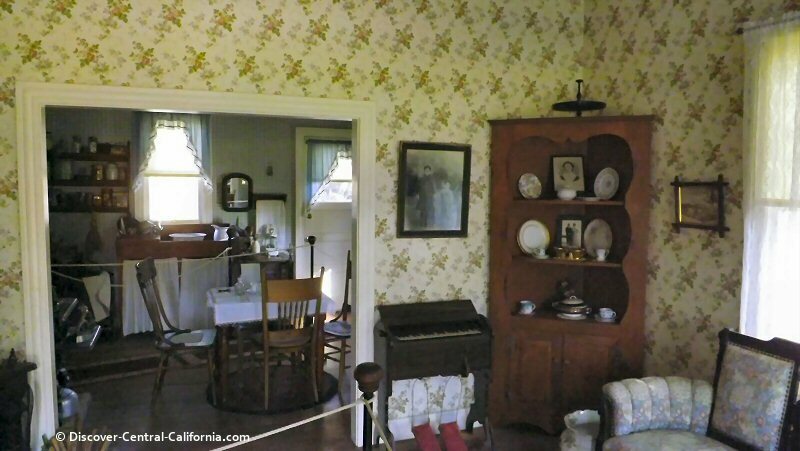 This was a typical field workers house with two bedrooms, a kitchen, a living room or parlor and a wash room. The outhouse was, of course, outside. This is a view from the parlor into the kitchen area, which also served as their dining room. Not so unlike today, except for the tools used. This is where the Monterey County Agricultural Museum excels. They have gathered, from descendents of the area pioneers, the implements, tools and items of daily life which makes these exhibits come alive. You expect to see the matron of the house come around the corner in her long dress and apron. There was no FedEx in those days and if you did order something from a catalog, it came by rail. Hitch the wagon, drive into town and pick up the package. But just like rural life today, they would have made many other stops in town so the trip would be most efficient. Inside the main barn are numerous exhibits covering most conceivable topics. Vintage vehicles (in running condition); how the natives used herbs; cattle ranching; dairy operations; home economics and many other things. I can't imagine anyone getting bored here. 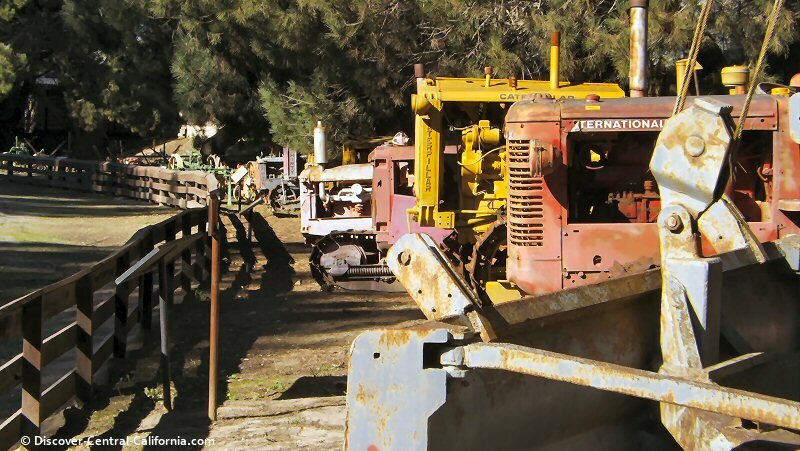 There is a long outside display of antique tractors and implements used for many years in Monterey County and now honorably retired to this museum. 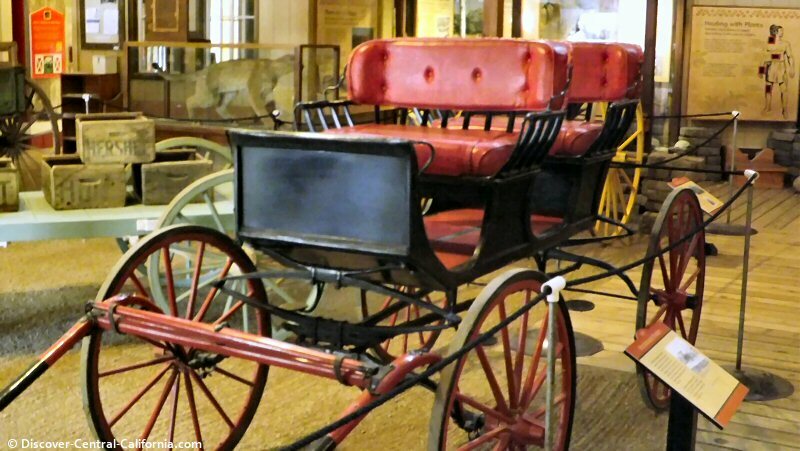 This brief tour doesn't exhaust the exhibits and displays at the Monterey County Agricultural Museum. There is also a working blacksmith shop as well as a museum of irrigation on site as well.